October 3, 2018 /Photography News/ Born 209 years ago today, on October 3, 1809, Thomas Martin Easterly was one of the most prominent and well-known daguerreotypists in the Midwest United States during the 1850s, with his studio becoming one of the first permanent art galleries in Missouri. By 1844, Easterly had begun practicing photography taking outdoor photographs of architectural landmarks and scenic sites in Vermont. Among his earliest daguerreotypes, made a decade before outdoor photography was popular or profitable, those of the Winooski and Connecticut rivers are the only known examples to be self-consciously influenced by the romantic landscape paintings of the Hudson River School artists. He was also the first and only daguerreotypist to identify his work using engraved signatures and descriptive captions. Lynch's Slave Market, 104 Locust Street, 1852, by Thomas Martin Easterly. According to the National Parks Service, "there were constant reminders of the horrors of slavery in antebellum St. Louis. One of the worst involved the open sales of slaves at various places along the city’s busiest streets, which was an accepted community practice. Regular slave auctions and sales were held in several places, most notably at the slave market run by Bernard M. Lynch on Locust Street between Fourth and Fifth. This market was moved in 1859 to Broadway and Clark Streets. Lynch’s “slave pens” were former private residences with bars placed on all the windows to secure them like prisons. Slaves were herded off steamboats and up the street to the slave houses, then sold to persons, especially after 1840, from outside St. Louis, mostly from the western counties in Missouri or further down the river. Families were broken up, with children taken from mothers, fathers sold down the river, husbands and wives separated. And all of this was done in full view of crowds wishing to buy and passersby going about their daily business." Source: Missouri History Museum. In the fall of 1845, Easterly traveled to the Midwest United States and toured the Mississippi River with Frederick F. Webb as representatives of the Daguerreotype Art Union. The two gained some notoriety from their photography of the criminals convicted of the murder of George Davenport in October of that year. 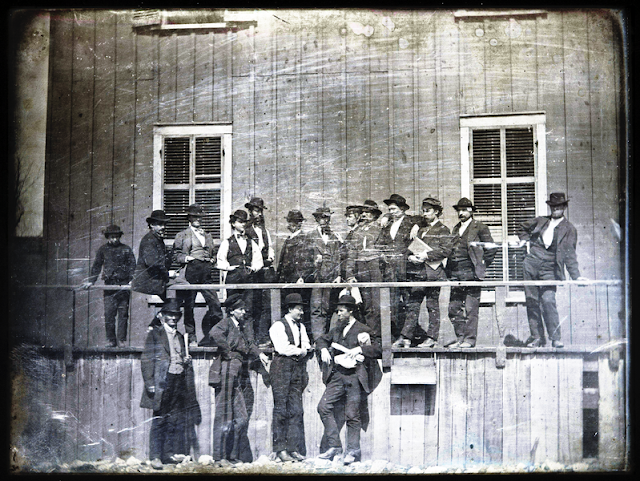 Iowa newspapers reported that Easterly and Webb had achieved a "splendid likeness" of the men shortly before their execution. Easterly soon became popular for his portraits of prominent residents of St. Louis and visiting celebrities which were displayed in a temporary gallery on Glasgow Row. 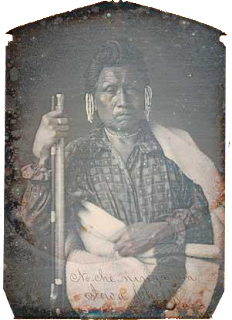 One of these portraits was that of Chief Keokuk taken March 1847. He also took a daguerreotype of a lightning bolt, one of the first recorded "instantaneous" photographic images, while in St. Louis. This was later recorded in the Iowa Sentinel as an "Astonishing Achievement in Art". Before returning to Vermont in August 1847, the St. Louis Reveille described his as an "unrivaled daguerreotypist". 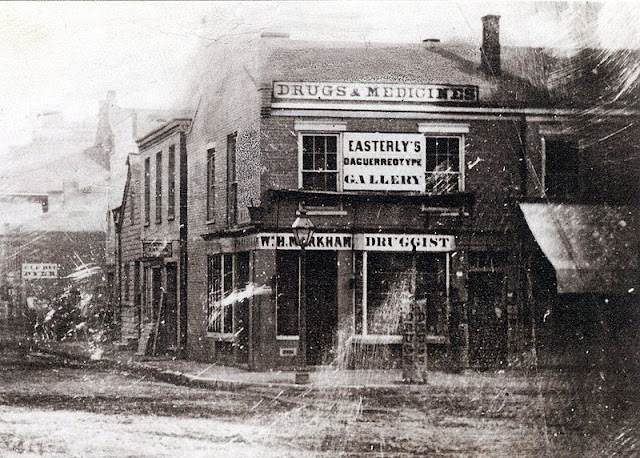 Easterly was brought back to Missouri by John Ostrander, founder of the first daguerreotype gallery in St. Louis, in early 1848. Preparing for an extended "tour of the south", Ostringer asked Easterly to manage his portrait gallery. Esterly would continue running the gallery when Ostringer died a short time later. Many of his unique streetscapes depicting mid-19th-century urban life were taken from the window's of Ostringer's gallery. In June 1850, he married schoolteacher Anna Miriam Bailey and settled in St. Louis permanently. By the 1860s most photographers had abandoned the daguerreotype process for the albumen and collodion processes. 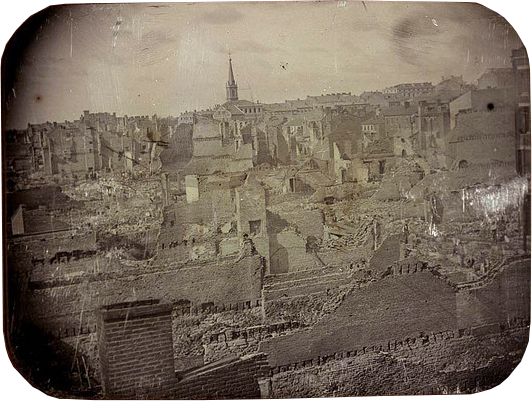 Easterly felt that the daguerreotype was an art form and refused to adopt new techniques, urging the public to "save your old daguerreotypes for you will never see their like again". His studio suffered from declining patronage, and he himself developed poor health, probably due to the mercury poisoning often associated with the daguerreotype process. Despite the declining interest for pictures on silver, he was able to maintain his gallery until it burned in a fire in 1865. He was forced to move to a smaller location and continued working in near obscurity until his death in St. Louis on March 12, 1882. After his death, his wife sold most of his personal collection to John Scholton, another noted St. Louis photographer. The Scholton family eventually donated the plates to the Missouri Historical Society where they remained for nearly a century before being rediscovered during the 1980s by art scholars studying pre-American Civil War photography. 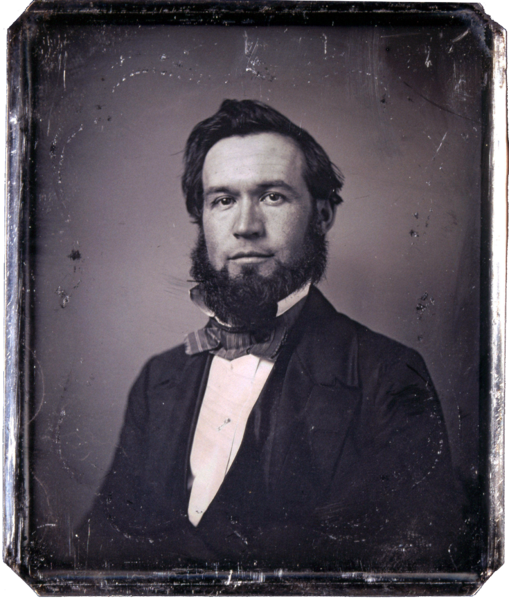 Although his reputation was limited to the Midwest during his lifetime, Easterly is considered to have been one of the foremost experts in the field of daguerreotype photography in the United States during the mid-to-late 19th century. The most complete appreciation of Easterly's life and work, with 233 illustrations is Dolores Kilgo's book “Likeness and Landscape: Thomas M. Easterly and the Art of the Daguerreotype” published by the Missouri Historical Society Press in 1994. An exhibit of the same name accompanied the book. What a beautiful piece of living history!